Calling all desert-dwelling dessert lovers! Celebrate National Root Beer Float Day (Saturday, August 6th, 2016) at TEXAZ Grill, where you can scoop up a gourmet root beer float for only $5. 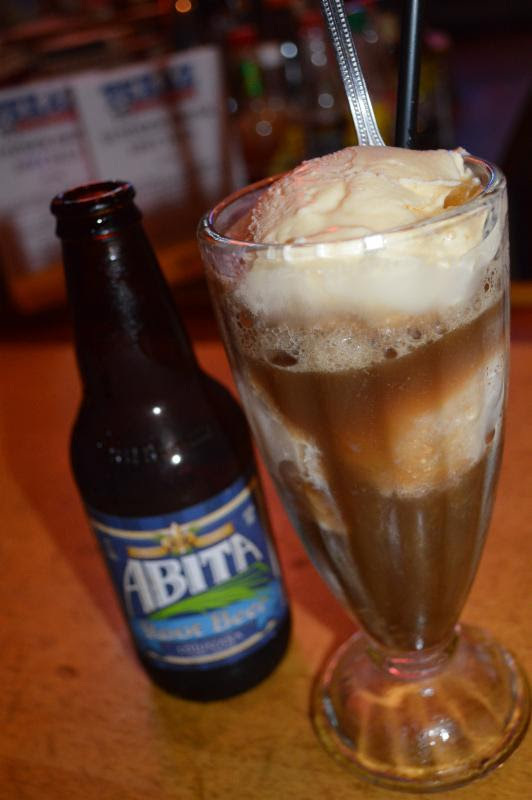 Made with rich, craft-brewed Abita Root Beer and creamy Vanilla Ice Cream, it’s the perfect complement to TEXAZ’s menu of hearty American comfort foods. Although opinions vary on who first floated ice cream in their root beer, there’s no doubting that it’s an American original. For the history buffs out there, the story goes that Philadelphia pharmacist Charles Hires first perfected root beer in the 1870s. His concoction, with a mix of tree and plant extracts, proved so popular that in 1927 a young man named John Marriott opened a small root beer stand in Washington D.C., which eventually grew into the worldwide hotel chain. Meanwhile, rival root beer purveyors, A&W, helped invent the franchised fast food restaurant – up until the 1960s, there were actually more A&Ws than McDonalds in America. TEXAZ Grill’s root beer float recipe is also a nod to owner/cook, Steve Freidkin’s Texas and Louisiana roots as Abita Brewing Company is a beloved Louisiana craft brewer. Meanwhile, TEXAZ Grill has been serving up the Valley’s best hand-cut steaks and other Texas-style classics since 1985, including nearly 895,820 Chicken Fried Steaks … and counting! So stop by TEXAZ Grill on August 6th and savor a delicious sip of history in a glass.